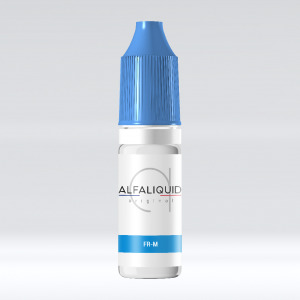 All of our Classic Flavour E Liquids: Classic E Liquids, Blond or Brown, you choose... Find here the best E Liquids for the Electronic Cigarette of Classic flavours amongst our emblametic range and discover our new range. 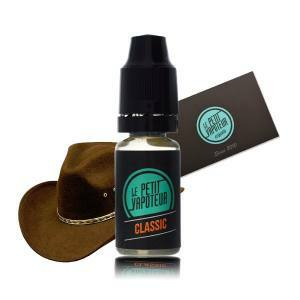 From the Classic Brown and Dry Classic Blond, the most gourmet, a vast choice of e liquids. You will surely find the e liquid you have been searching for amongst our marvelous range that we propose. An authentic Classic taste. Subtle sweetness, dry with undertones of cacao. A liquid which is concocted for those who wish to rediscover the sensation of real Classic. A mixture of rich and robusta Classic similar in intensity to a cigar. A rich Classic and with a tang of apples, a perfect combination, coarse and mild at the same time. A Classic Blond with a little dash of Caramel. This Classic Blond is a reference! Very light, it is perfect to begin with! A Classic Blond American Taste, Very Striking! A blond "Classic" blond reminiscent of flavours made in the United States of America. A Dry Classic Blond, it makes all the difference! Refined and Subtil Classic Blond, all round company. Classic and Strong.. for those who do not fear the tide! A Classic Mix, a harmonious, powerful and soft mixture. It keeps its promise. Taste the sublime classic with notes of Tea. Let the magic of this mixture transport you! A French Classic embellished with flavours of a crusty Baguette, straight out of the oven. 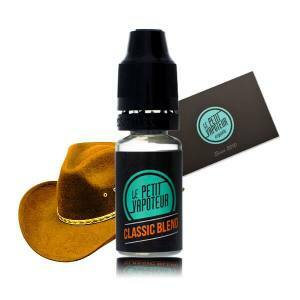 A powerful e liquid associated with flavours of a classic blond and classic brown, golden and oaky. A Classic Brown for amateurs of powerful vape ! The Swoke E Liquid proposes a powerful classic softened with aromas of Chocolate and Strawberry Jam. Vape a brown classic, accompanied with Caramel and Liquorice with this excellent WFC E Liquids. A rich American Classic enhanced with notes of grilled corn. Discover the oriental classic with a thousand spices. Find the best E Liquids for the Electronic Cigarette of Classic Flavours amongst our emblematic range discover the different brands. 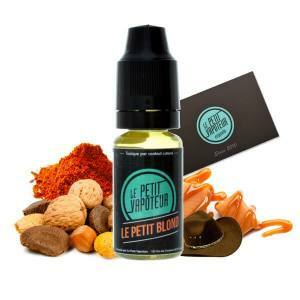 From Classic Brown to Dry Classic Blond the most gourmet, a vast choice of e liquids which come from all over the world for the pleasure of your vape awaits at Le Petit Vapoteur.